Alipay and China UnionPay, two of China's online payment service providers, are using their credit rating system to improve the house rental market. This is expected to help regulate how house owners and tenants operate in the market. But its efficacy remains a question, experts said. Alipay, a subsidiary of China's internet giant Alibaba Group, announced its property rental foray via a new platform in October. The Alipay platform allows tenants with a 650-point score on Zhima Credit, a rating system founded by Alibaba, to pay in advance one month's rent without any deposit and lease an apartment, according to Wang Bo, general manager of the innovation and smart service department of Ant Financial, the fintech affiliate of Alibaba. The Alipay service does away with the common practice of one-month rent as deposit and three-month rent toward house owners required by the rental agreement. Statistics from the Ministry of Housing and Urban-Rural Development showed about 160 million Chinese residents rent houses in cities, accounting for 21 percent of the urban population. College graduates and migrant workers are major tenants. However, most people do not have a pleasant experience when renting apartments. Common complaints against landlords are dishonest behavior, peddling fake information about the condition or ownership of the property, over-charging and raising the rent unreasonably. So, the online system aims to simplify the process of renting a home, particularly for young people like fresh graduates about to enter the workforce, Ant Financial said. At the same time, it would rein in unethical, coercive or unfair practices of landlords. 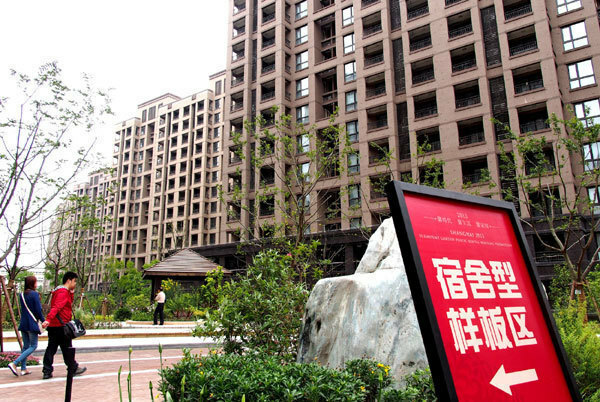 According to a report on housing conditions of young people in Beijing, only about 26 percent interviewees said they felt their rights were not violated in rental issues. Wang of Ant Financial said the advantage of having Alipay in the rental market is its ability to control risks. The new rental platform can evaluate prospective tenants' credibility and trustworthiness by analyzing their record in financial transactions. In addition, home-owners and tenants can influence each other's credit ratings through online comments. But industry insiders said it is still early days to judge such services. Wang Pengbo, a financial analyst of research firm Analysys, said though the idea of combining individual credit with mobile payments is good, many other elements need to be taken into consideration to give a precise evaluation as well as a feasible solution to problems. "For instance, if a tenant violates the contract, what can we do without the constraint of the deposit?" Wang said. Geng Juan, an analyst with the Nanjing branch of real estate agency 5i5j, agreed. "What if the tenant refuses to pay the water or electricity bills, or compensate for damaged home appliances? Besides, how could the system actually avoid fake information from unethical intermediaries?" Alipay plans to channel about 10 long-term rental brands, such as Mogoroom and Danke Department, in the following years, to list about 2 or 3 million city apartments, including those in Beijing, Shanghai, Shenzhen and Chengdu. Among the 1 million rental apartments listed on Alipay, about 85 percent still seek deposits, it said. According to an industry insider, deposit-free rentals based on personal credit scores are limited to a certain group of customers with Zhima Credit account. Since cash flows through Alipay are key to its very business, it is possible that not all rental listings would be deposit-free. Guo Yi, marketing director of real estate consultancy Yahao, said, "There's still a long way to go for financial or credit tools before they become integral to rental services. A single credit rating system cannot overturn the current system. But I believe the rental market will become better in the future, facilitated by strengthened supervision." In July, the central government strengthened supervision in 12 cities, some of which established monitoring platforms to help solve problems of fake information and unscrupulous realty agents. After Alipay launched its house rental service in cooperation with the Hangzhou city government, others follows suit. For instance, JD Group, China's second largest e-commerce giant, joined the rental supervisory platform in Beijing in late October. JD said it expects to provide services for real estate developers and agencies, covering commercial, industrial, tourism, pension and overseas properties. China UnionPay followed it up in early November through cooperation agreements with Shenyang and Wuhan city governments. Ren Tianfeng, real estate general manager of the commercial services department of China UnionPay, said the firm will support evaluation of individuals' credit on the government's rental monitoring platform. China's rental market size is expected to jump from 1.1 trillion yuan ($166 billion) in 2016 to 4.6 trillion yuan in 2030, according to real estate agent Homelink's research department.